First of all, yes, it’s almost always better to draw and color the artwork separately from the lettering. 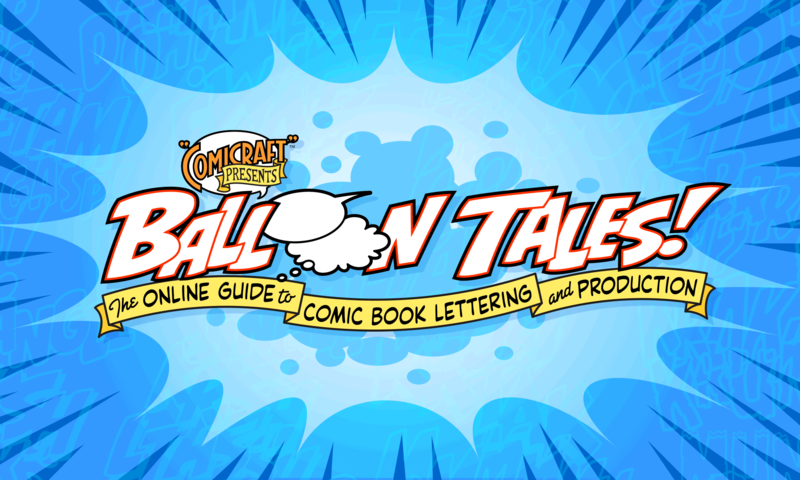 That leaves you more flexibility when it comes to moving balloons around and making corrections, as well using the unlettered art for a poster or promotional piece, or even re-lettering the book in another language at a later date! Now, onto creating word balloons. At Comicraft, we use Adobe Illustrator to letter comic books, and the instructions below are for Illustrator. 1. Type out the text in a balloon lettering font and position it about where you think you’ll want it. For this example, I’m using RedStar. 2. Using the circle tool, draw circles around the words. Set the fill to white and the stroke to black. If it’s a color comic, set the stroke to “overprint”. 3. Select both circles and choose Object > Arrange > Send to Back (command-shift-[). To get a more squarish “TV” shaped balloon, use the open pointer to pull the four edges of the balloon outwards (or select all four edges and use the Scale tool). Use the Scale tool to resize each balloon so it comfortably contains the text without too much extra space. 5. Now select the tail and both balloons, and click on the “Unite” (or “Merge” in Illustrator 10 and above) button in the “Pathfinder” palette. This will make the balloon and tail into a single object. “Send to Back” again to put it behind the text.